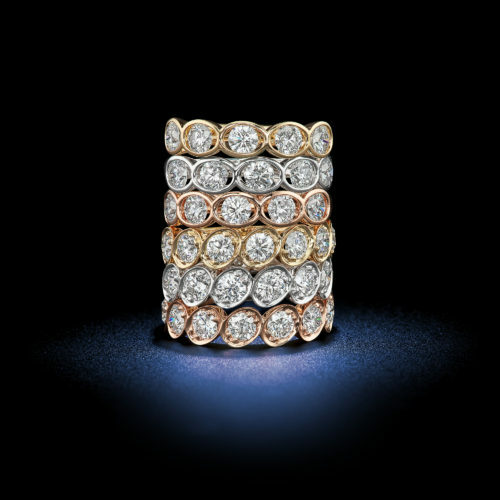 Tri-Color Floral Crown Eternity Bands - Rosenberg Diamonds & Co.
A luxurious transformation of 18kt white, yellow, and rose gold into delicately handcrafted floral settings. 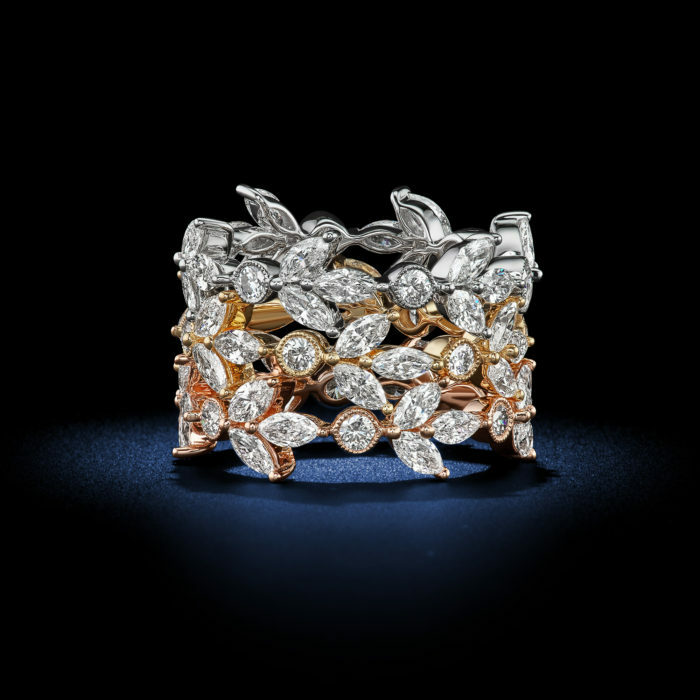 Each band carries beautiful round and marquis shaped White diamonds set into flower petals for a truly captivating design. 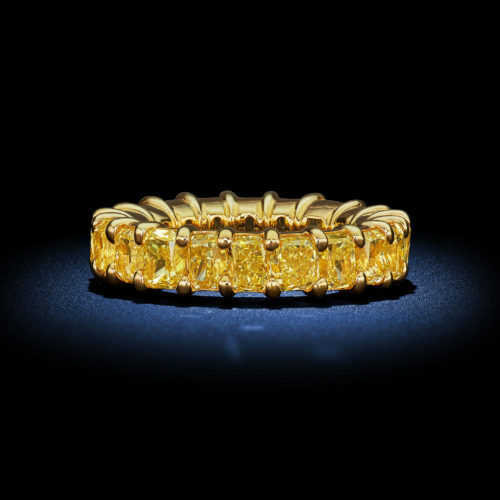 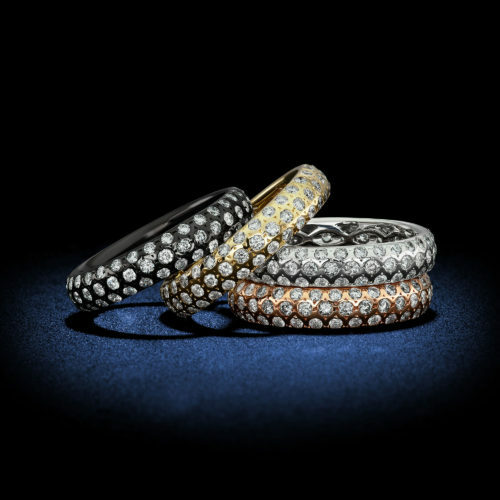 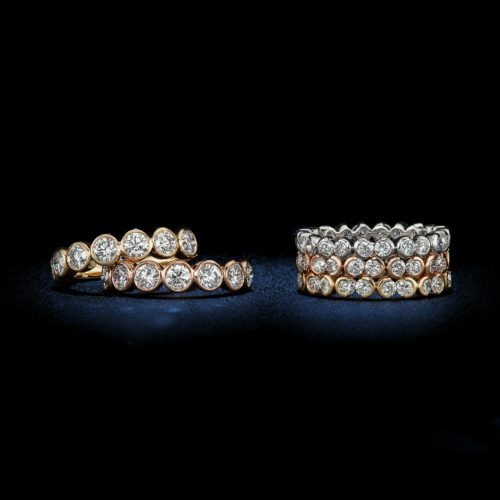 Glittering round brilliant white diamonds shine from every angle in classic eternity bands of multi-color 18kt gold.